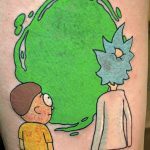 5 years, 3 seasons and 31 episodes on, sci-fi, adventure cartoon series Rick and Morty remains as popular as ever. At this point, if you are not a fan, you really should ask yourself why and if you are, then there’s no reason why you shouldn’t slap an Officially Licensed Rick and Morty Portal Watch on your wrist. 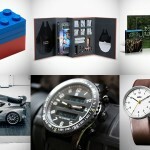 Now, this item here is not the first watch, but based on our scrutiny of the high resolution product images available on the Internet, this appears to be of a more decent variety. It features, as you can see, Rick and Morty as the second hand and therefore the duo will be swirling non-stop. 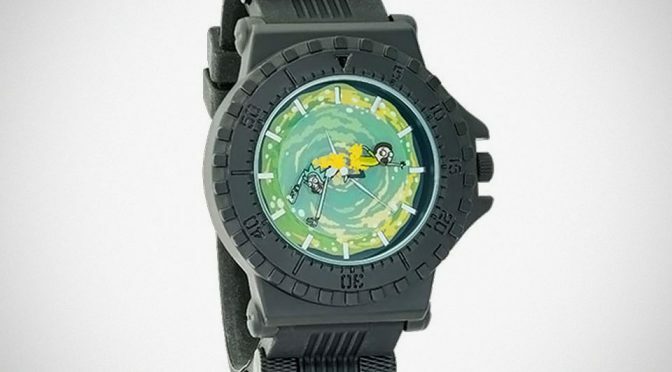 Speaking of which, there is another ‘dress watch” out in the market that sports a similar Rick and Morty dial face and someone noted that Rick and Morty actually blocks the time at some point. We are not sure if it will do the same on this, but we just thought you should be aware. 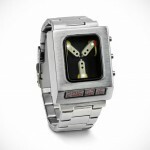 Also, you do know that this “portal watch” won’t allow you inter-dimensional travel, right? Anywho, we thought the stainless steel case and silicone band iteration are more fitting for a Rick and Morty portal watch because, after all, Rick and Morty is all about adventure through time and space, and adventure means the need for ruggedness, or at least, look rugged. Well, that’s unless you will be in your tux, attending Birdperson’s wedding. 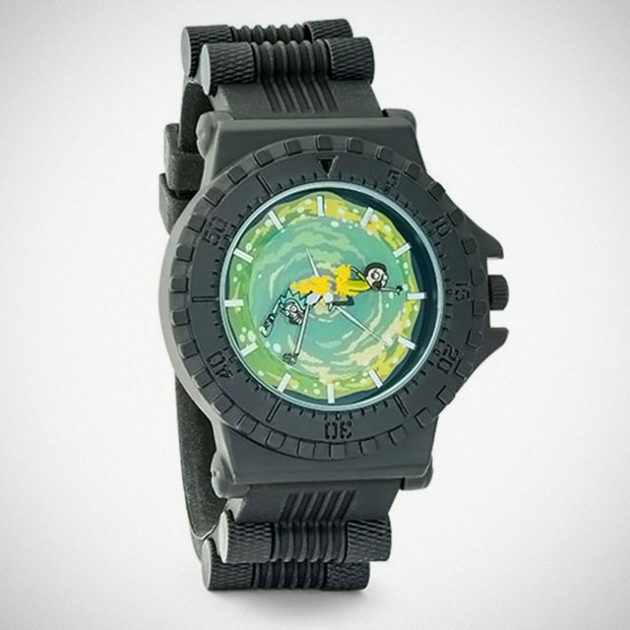 You can find Officially Licensed Rick and Morty Portal Watch on ThinkGeek, priced at a modest $39.99.